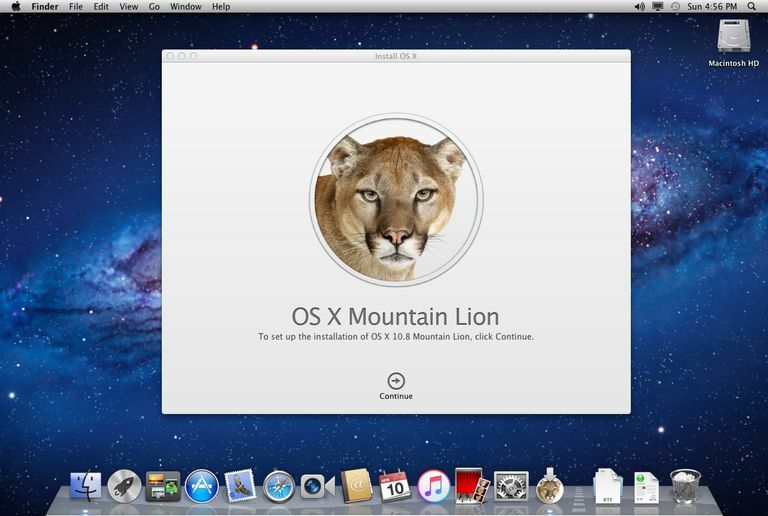 The minimum hardware requirements for OS X Mountain Lion are a bit steeper than the minimum hardware requirements for OS X Lion, its predecessor. Many Macs can work with Mountain Lion, but some Macs won't be able to run anything newer than Lion. Apple has been removing Macs that don't support 64-bit processors from its OS X compatibility list since it introduced Snow Leopard. With Mountain Lion, Apple is further trimming the compatibility list by being very strict about what constitutes full 64-bit support. However, some of the Mac models that didn't make the cut this time, such as earlier versions of the Mac Pro, do have a full 64-bit Intel processor. So, what kept them out of the running? While the earlier Mac Pros have 64-bit processors, the EFI (Extensible Firmware Interface) boot firmware is 32-bit. Mountain Lion can only boot in 64-bit mode, so any Mac that has 32-bit EFI boot firmware won't be able to run it. Apple can't supply new EFI firmware because the supporting chips for the EFI system in these older Macs are also limited to 32 bits. Make sure Hardware is selected in the Contents list. The second entry in the Hardware Overview list is the Model Identifier. Compare the Model Identifier with the list above. For example, a Model Identifier of MacBookPro5,4 would be eligible to upgrade to Mountain Lion since it is newer than the MacBookPro3,1 identifier in the list. In the About This Mac window that opens, make sure the Overview tab is selected. The first two entries will include your Mac model and the release date for the model. You can compare this information against the model list above. There's another way to check whether your Mac can be updated. You can use Terminal to verify that your Mac boots using a 64-bit kernel. Launch Terminal, which is located in the /Applications/Utilities folder. Terminal will return a few lines of text indicating the version of the Darwin kernel this is being used. Look for x86_64 somewhere within the text. The above process will only work if you're running OS X Lion. If you're still running OS X Snow Leopard, you'll need to force boot into the 64-bit kernel by restarting your Mac while holding down the 6 and 4 keys. Once the Desktop is visible, use Terminal to check for the x86_64 text. Some Macs that aren't on the list above may still be able to run Mountain Lion, provided they can successfully boot using the 64-bit kernel. This is possible if you've upgraded an older Mac by replacing a logic board, a graphics card, or another major component. If your Mac can't make the jump to Mountain Lion, you may still want to upgrade to Snow Leopard or Lion, if you haven't already. If your Mac is running the latest OS it can support, you'll be able to receive software updates, and more importantly, security updates, for as long as possible. Apple usually provides security updates for the current version of the OS, as well as the previous two versions of the OS. 8 GB of free hard drive space for the OS installation; more is better, and much more is even better. While 8 GB is enough for the OS and the apps that come with it, there won't be much space left for user data or additional apps. I recommend 60 GB or more for a single user who has a mid to large collection of apps and user data. 2 GB of RAM. Once again, this is the minimum listed by Apple. You will probably want to have at least double that amount of memory, depending on how you use your Mac. 650 MB of additional drive space. Mountain Lion creates a Recovery HD volume on your startup drive. This space is used to hold a bootable system that includes tools for data recovery and the ability to reinstall the OS. An Internet connection. You'll need the Internet to download the Mountain Lion installer app, and to create your iCloud account when you're setting up Mountain Lion. You'll also need an Internet connection if you ever need to re-install the OS using the Recovery HD volume. Looking For Minimum Requirements of Other Versions of OS X? OS X Snow Leopard minimum requirements. OS X Lion minimum requirements. OS X Mavericks minimum requirements. OS X Yosemite minimum requirements. OS X El Capitan minimum requirements.